Lyric Soprano Ashly S. Thomas currently holds a Bachelor's Degree in Music Performance from Bethune-Cookman University located in Daytona-Beach, FL. During her undergraduate studies, she was frequently featured as a soloist for concerts and many diverse opera scenes from Mozart to Strauss including Gilda (Rigoletto), Laetitia (Old Maid and the Thief), Countess Almaviva (Le Nozzi di Figaro) Sophie (Der Rosenkavalier) and Susannah (Susannah). When Ms. Thomas was not on stage at the university, she was performing with the Orlando Opera Company as a member of the opera chorus. Her time spent with OOC included performances such as Die Fledermaus, Cavalleria Rusticana, Il Trovatore, and Suor Angelica. After receiving her Bachelor's Degree in Music Performance, Ashly spent a summer abroad studying French in Toulouse, France at L'institut Catholic de Toulouse. Upon returning to the U.S. she began her Master's Degree in Vocal Performance at Southern Illinois University in Carbondale, IL. There she was cast as Countess Almaviva in a fully staged production of Mozart's Le Nozzi di Figaro. During the summer Ashly performed as Stephano, a pants role in Charles Gounod's Romeo et Juliette for the Southern Illinois Summer Music Festival. Most recently Ms. Thomas was selected as a studio artist in the Angels Vocal Arts young artist program located in Los Angeles, CA where she had the honor of being a featured soloist in several performances in and around Los Angeles, including a masterclass with Italian tenor Maestro Vittorio Grigolo. When she is not performing, Ashly spends her time sharing her love of music with children and adults alike. 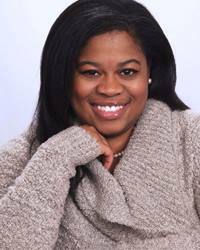 Currently she is the music teacher at Lion of Judah academy and she also provides private voice and piano lessons with Orlando Premier Music Instruction.